$92.05 This item is selling for $92.05 on eBay. 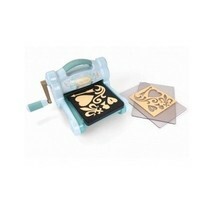 Personalize your scrapbook, or create your own cards, with this Big Shot machine. It's designed to work with nearly the entire Sizzix range of dies, so you'll have plenty of patterns to work with, and because it's portable, you can take it anywhere. With a swirl of powder blue-and-teal colors and the Sizzix logo bursting out brightly, this version of the Big Shot Machine offers plenty of stylish appeal with the same versatility of working with the entire Sizzix product library (with the exception of Bigz Pro dies). From the smallest dies to the big 6-inch wide plastic-backed treasures and embossing tools, this Big Shot works with them all. 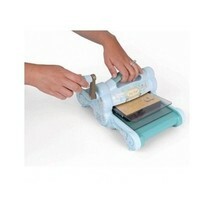 This portable roller machine cuts and embosses many different materials. 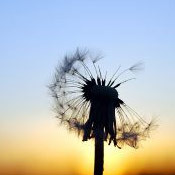 Create your own one-of-a-kind cards, invitations, scrapbook pages, home décor, fashion, altered art, quilting and much more. The adjustable extended multipurpose platform makes all Sizzix components thinner and even works with other brands' dies and embossing tools. The diagrams on the platform offer easy guidelines about how to make the perfect Sizzix sandwich. 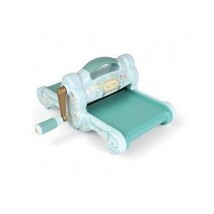 Materials: Solid core steel rollers, unibody cast roller housing, solid steel gears, ABS plastic exterior Color: Powder blue/ teal Included: Standard cutting pads, adjustable extended multipurpose platform Dimensions: 6.625 inches high x 14.25 inches long x 12.375 inches wide To ensure compatibility, always check machine and accessory requirements. Machine accessories may be sold separately. I ship to the lower 48 states only. I cannot combine shipping, and there is no local pickup. I cannot ship to APOs, FPOs, or PO Boxes.